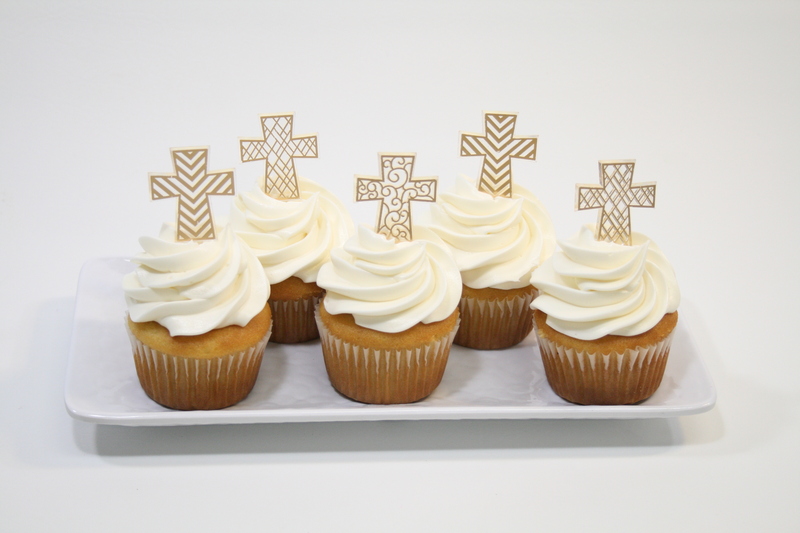 These cupcakes feature elegant gold plastic cross picks. Pricing includes chef’s choice mix of cross patterns shown. Shown here with vanilla buttercream swirl frosting. 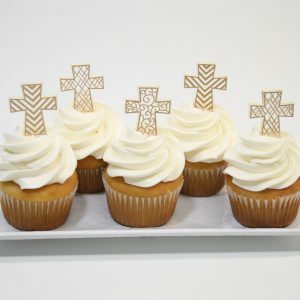 Minimum order of 1 dozen per standard cupcake flavor/design.